The CorPath 200 System can be integrated with all major X-ray fluoroscopy systems including Philips’ Allura X-ray equipment. The robotic-assisted system is a compact and cost-efficient system that can be used with standard stents, catheters and guidewires. The distribution agreement enables both companies to sell this unique robotic-assisted system in the United States, addressing an immediate need of patients, interventional cardiologists and staff. This agreement is the next step in the alliance between Philips and Corindus, which was announced in 2011. X-ray fluoroscopy is generally accepted as the most suitable imaging technology for accurately visualizing the progress of the catheter and other interventional tools during the minimally invasive treatment of cardiac conditions. However, since interventional cardiologists perform many PCI procedures, over time clinical data has demonstrated that this can lead to health and orthopedic problems. As a global leader in interventional cardiology offering a comprehensive portfolio of imaging systems and advanced interventional tools, Philips is at the forefront of helping clinicians and staff to manage X-ray exposure for their patients, and for themselves. The CorPath 200 System has been designed for the robotic-assisted placement of the coronary guidewires and stent/balloon catheters used in PCI procedures. It is operated by the interventional cardiologist from a radiation shielded, interventional cockpit. Additionally, the seated position in front of monitors may provide enhanced measurement and view of the angiography screen, while reducing fatigue and head, neck and back strain. The CorPath PRECISE Trial* — a prospective, single-arm, multi-center, study, which enrolled 164 patients and was submitted to FDA as part of the pre-market notification (510(k)) for the CorPath 200 — demonstrated robotic-assisted PCI is safe and feasible for patients, and can also significantly reduce radiation exposure for the interventional cardiologist. Infographic: The first ever robotic-assisted PCI system, the CorPath 200 System, places stents during coronary artery disease procedures and is the solution for today’s challenges in the cath lab. The CorPath 200 System is the world first robotic-assisted system for the minimally invasive treatment of obstructed coronary arteries in patients with Coronary Artery Disease (CAD). 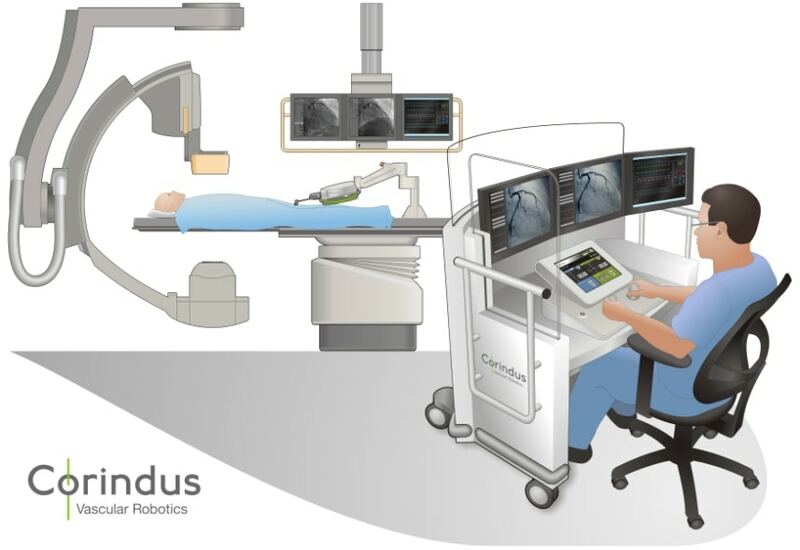 Corindus (http://www.corindus.com) is the global technology leader in robotic-assisted percutaneous coronary interventions. The Company’s CorPath® 200 System (FDA cleared July, 2012) is the first medical device that offers interventional cardiologists PCI procedure control from an interventional cockpit. 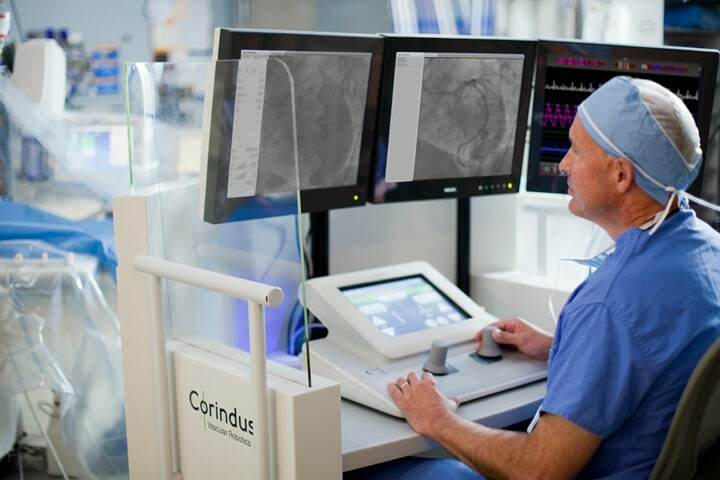 The CorPath open-platform technology and intellectual property will enable Corindus to address other segments of the vascular market, including peripheral, neuro and structural heart applications.